What can we learn from the 14,000 homes lost during the Camp Fire? Remnants of a burned trailer park in Paradise after the Camp Fire. Shades of brown and grey cast over bricks, cement, remnants of metal roofs and steel beams from manufactured and modular homes, collapsed stucco walls, BBQs, shells of washers and driers, along with an occasional tea pot — that is what you can see in and amongst living, but singed Ponderosa pine and California black oak trees where the Camp Fire burned. 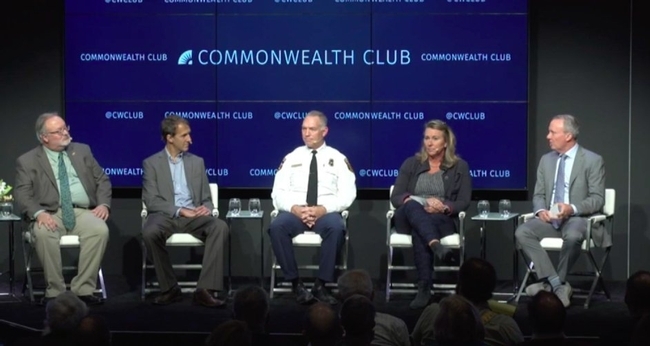 How did California's most deadly fire happen and what might be done differently to ensure a better outcome? 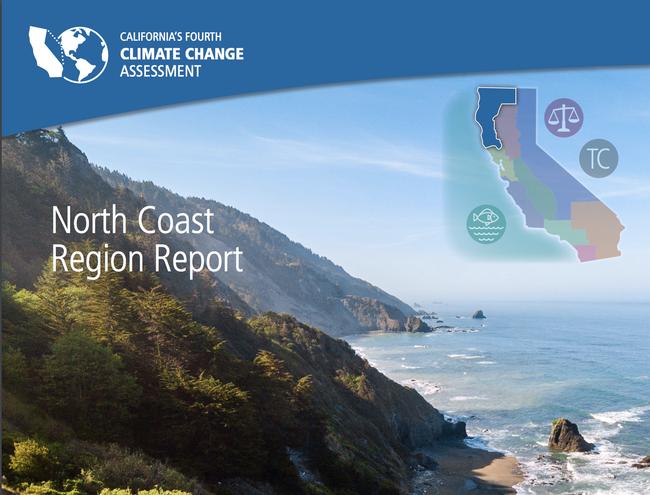 These are difficult questions that California will wrestle with for a long time to come. 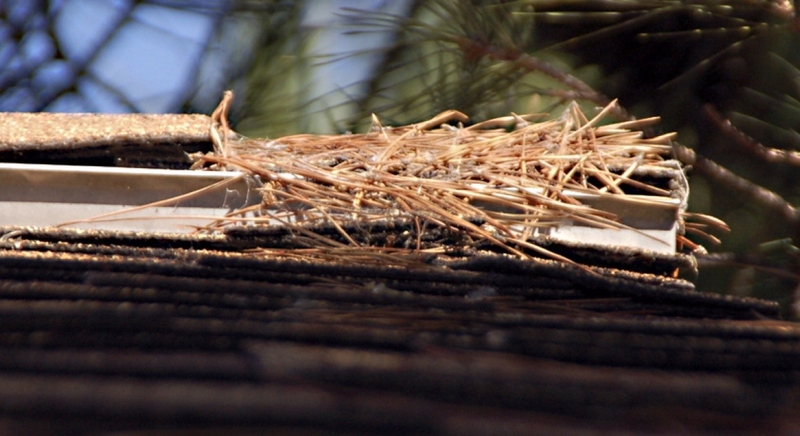 Surviving home with recently upgraded roofing, vents and combustible materials separated from the house. Every home surrounding this house was lost to the Camp Fire. Last week I was able to tour some of the burned area in Paradise and Magalia to evaluate why some homes survived and others did not. This gave me a chance to look at homes that survived largely on their material selection, design details, the owner's maintenance efforts, and not necessarily with the aid of a fire crew or resident that stayed. 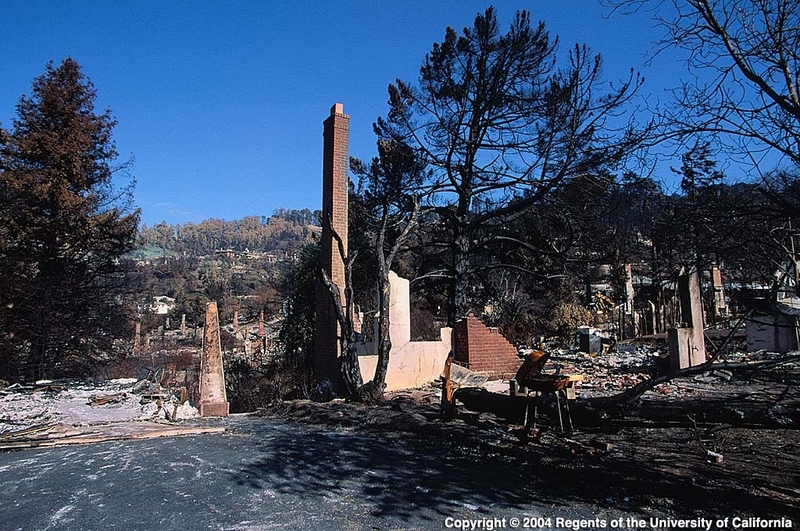 Many of the buildings that were burned were lost on the first day or two of the fire while emergency response was focused on evacuating the communities. It will take months to make sense of this mess and tragedy, but during my tour some conditions rang true to me. 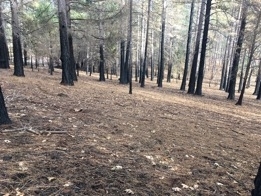 A well-maintained forested area in Paradise that had minimal tree mortality from the Camp Fire. Not all fires are the same and not all houses experience the same type of fire. When you are looking at home losses and survivors, keep in mind that each home may not have had the same fire exposure. Some homes experienced significant ember exposure, while others ignited because their neighbor's home succumbed to fire and the heat of their neighbor's house caught their house on fire, while others were protected from the wind and its deadly embers. Paradise and Magalia have blocks and blocks of nothing but foundations, but amongst these bleak conditions are a few intact or partially damaged homes that have a story to tell. A homeowner holds a foundation vent found in the rubble of her home. Her house, built before the 2008 construction standards, had ¼-inch mesh screen that may have allowed embers to enter her home. We saw homes that survived that had upgraded attic and foundation vents that meet the California building code for construction in wildfire prone areas. Some of these houses also included some extra efforts where vegetation and combustible mulch was virtually eliminated in the area immediately adjacent to the home. Our inspection team included UC's Dr. Steve Quarles, a national expert in fire-safe construction, who interpreted this to mean that meeting the 2008 Chapter 7 A standards, coupled with the enhanced defensible space, likely made the difference to ward off the assault of the ember-driven Camp Fire. We found evidence that burned homes in Paradise had ¼” mesh foundation and under-eave vent screens. Research has shown that these larger size screens let embers penetrate the attic and ignite the house from within. The 2008 California building code standards specify screen mesh size between 1/8” and 1/16”-inch, or vents that demonstrate their ability to resist embers and flames. Our tour also confirmed that landscaping plants and wood mulch placed right next to the house creates vulnerability. While looking at the rubble of a home, it can be difficult to tell what happened; however, we saw several surviving houses with broken glass or otherwise damaged dual-pane windows that experienced heat exposures sufficient to crack glass in the windows, but the home still survived during these first two days when fire crews were rightly focused on community evacuation and not structure protection. For the houses that did not survive, we can interpret that in addition to the vulnerabilities in vents or a roof, heat can easily break glass in windows, especially if those windows are single pane, and can likely created a pathway for fire to enter the houses. This house met new construction standards. Several windows were broken from the heat of the fire. It likely would not have been damaged if there had been a 5-foot zone around the home that did not contain combustible plants or other materials. A home at the top of a canyon or gulch can easily be overwhelmed by wildfire by taking on additional heat as the fire approaches and being blasted with embers. This is not a new concept, but the homes in the broader Paradise region were especially vulnerable when they were located above these gulches and canyons. Enhanced vegetation management is highly recommended that includes a 5-foot non-combustible zone immediately adjacent to the home. 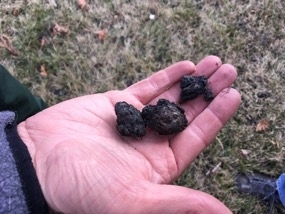 Charred remnants called “embers” found in a lawn were drivers of the Camp Fire. The large size suggests that these embers were generated from burning buildings, not from vegetation. Our team, which also included Dr. Eric Knapp from the USDA Forest Service Pacific Southwest Research Station, has been able to do a quick analysis of home losses by year of construction in Paradise. 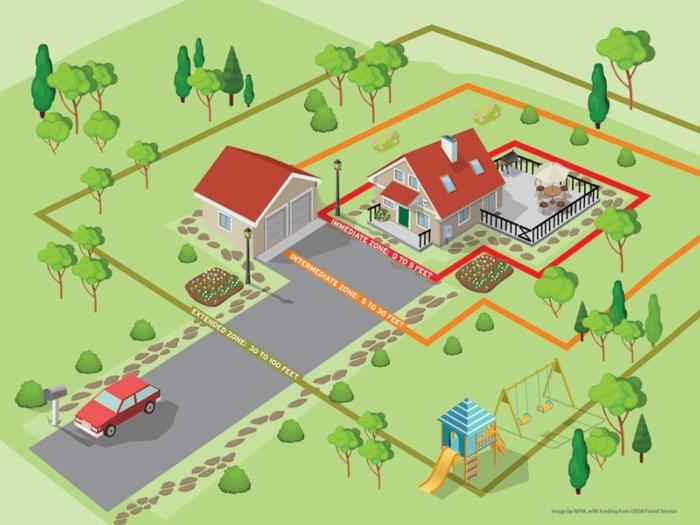 This cursory analysis shows that many homes built after the 2008 wildfire standards were adopted were lost during this fire, however, without knowing the specific details of each home (e.g., maintenance practices, proximity to other building, etc. ), these statistics can be misleading. We will continue to work through the available data to try to look for patterns, however, in the meantime, it seems clear to me that the new construction standards can reduce the probability of ember intrusion and may have helped for some homes in Paradise. This week a new study reported that complying with these standards was not considerably more expensive. Additionally, the codes that help guide construction in California's wildfire-prone areas are dynamic and will be informed by the 2017 and 2018 wildfire seasons. For me, thinking about Paradise in the abstraction was easy. Visiting it was different. The name says it all. After my visit I could understand why someone would choose Paradise or Magalia; the views are awesome, the air is clear, the forest and woodlands are amazing. I can only imagine that the community was (almost) perfect. Rebuilding a more resilient community will take considerable thought, effort, and some radical new ideas. Fire damage from the 1991 Oakland Hills fire. Buildings can burn quickly if embers get inside and fall on flammable materials. Photos and video of the Northern California communities that have been hit by wildfires this week show buildings reduced to ash. How could so many homes and businesses burn so quickly in Wine Country fires? 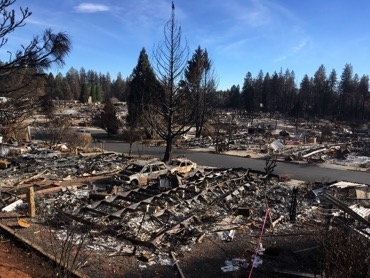 Many houses that burned to the ground in the Northern California fires likely burned from the inside out, says Yana Valachovic, UC Cooperative Extension forest advisor for Humboldt and Del Norte counties. Red hot embers carried on the wind can enter the attic via the venting. “In the case of the wind-driven fires on October 8, these fires created ember storms that blasted little coals into everything in their pathway,” Valachovic said. These embers also create small spot fires near the home that fuel new sources of embers. Weather played a large role in these fires and generated a fire storm of embers that ignited grass, shrubs, trees and anything in its path. “While the landscape can be the fuse, the homes really can be the most burnable part of the landscape,” Valachovic said. “These embers likely lodged in the small spaces and openings of homes and buildings. A common location is for the embers to enter via attic venting or HVAC systems distributing little fires into the buildings. Embers carried on the wind can ignite dry plant material like pine needles and create more embers that may enter homes through vents. 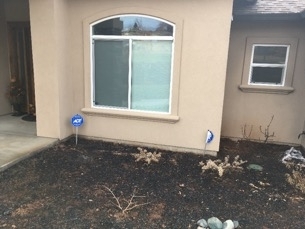 Residents can reduce the risk of embers setting their house on fire by removing dry plants around the structure. 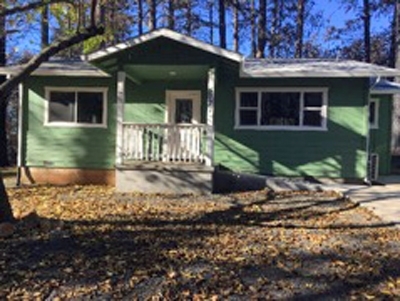 Steve Quarles, UC Cooperative Extension advisor emeritus, who spent his career studying fire behavior on building materials and around homes, created an online Homeowner's Wildfire Mitigation Guide at http://ucanr.edu/sites/Wildfire. 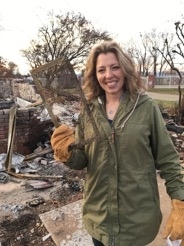 Quarles, who now does research for the Insurance Institute for Business and Home Safety, demonstrates how embers can ignite and quickly engulf a house in flames in a video https://www.youtube.com/watch?v=IvbNOPSYyss. After the 3-minute mark, video shows embers drifting up and flying through a screened vent into the house, where they could ignite combustible materials in the attic resulting in fire starting on the inside of the home. “If you have time to prepare your home, use the wildfire last-minute check list at http://disastersafety.org/wp-content/uploads/2016/07/IBHS-Wildfire-Last-Minute-Checklist.pdf,” Valachovic said. Valachovic has co-authored publications in home survival in wildfire prone areas http://anrcatalog.ucanr.edu/pdf/8393.pdf and how landscape plants near homes can create more vulnerability to wildfire http://anrcatalog.ucanr.edu/pdf/8228.pdf. Once these fires are extinguished, a more detailed analysis will be possible. “Past wildfire events have shown that this is the common way homes in the wildland urban interface (WUI) burn, and this scenario was likely translated to the urban environment,” she said.